I have a large amount of Douglas Fir rounds/logs for sale. Best to be used as firewood. 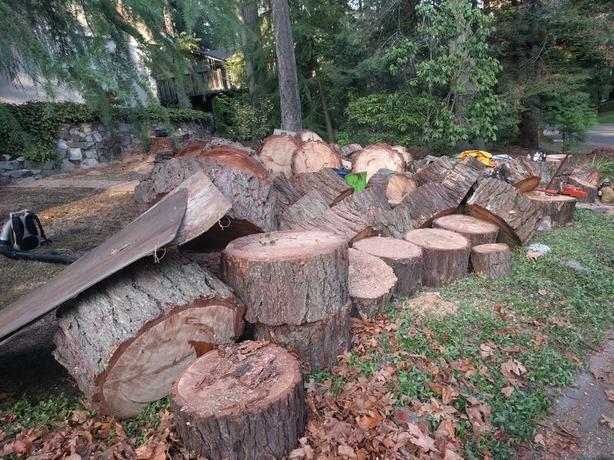 The full tree was approved and cut down on 11/07/2018. The wood is sound and range from 1 ft to 4.5 ft in diameter. They are stacked near the road and can be loaded onto a large truck. Due to the weight of the larger rounds (several hundred pounds) it is very likely some machinery will be required to help move and lift them. Upon confirmed sale you can pick them up and take them away. They are located in Saanich and are priced for $300 for quick sale this week.